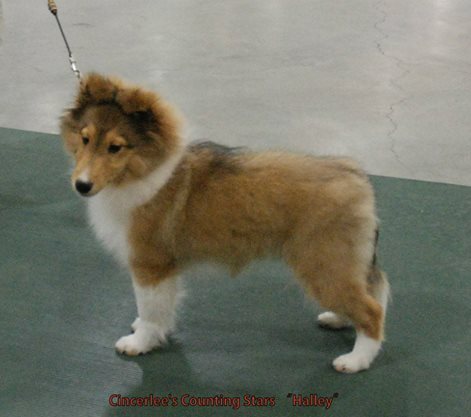 Cincerlee's Counting Stars aka "Halley"
Sire: Ch. Chelson Ashwyn Holloywood North "Riot"
Dam: Grd. Ch. Crinan's Cover Girl "Maybelline"
Our beautiful self assured girl from Maybelline's first litter has an easy going attitude and LOVES car rides. 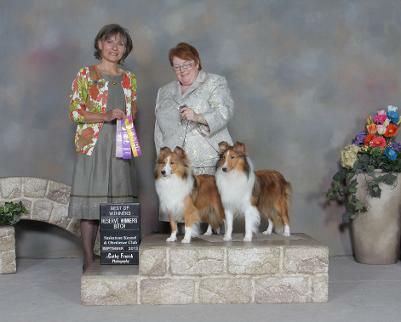 Diva (Right) at 11 months taking Reserve to her half sister Diamond (Left), at Saskatoon Kennel Club. Diva and Dasha Having Fun in Jr handling! 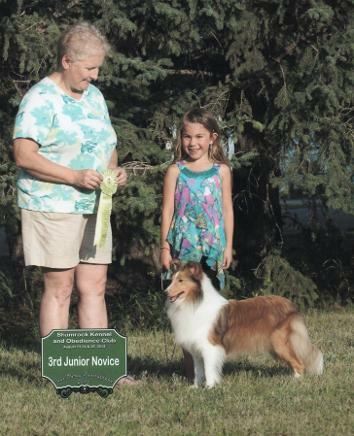 Diva's Pedigree is full of many Old Lines and she is one of our two Siri Daughters.